The U.S. Geological Survey has deployed storm-tide sensors, forecast what coastal change to expect, and is ready to measure the extent of flooding likely to result from this powerful storm, Hurricane Harvey. Track hurricane data and USGS resources. 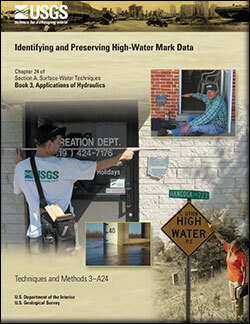 FEV (an interactive map) provides viewable and downloadable flood event data. Stay up-to-date with the scientists out in the field. 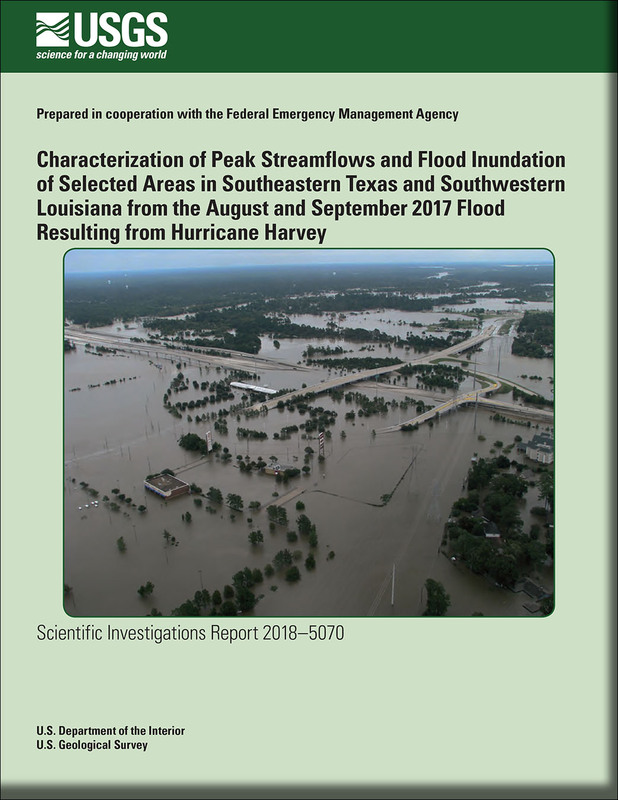 Nineteen inundation maps and detailed flood information from Hurricane Harvey are now available from the U.S. Geological Survey, in cooperation with the Federal Emergency Management Agency. Hurricane Harvey was the most significant rainfall event in U.S. history, both in scope and peak rainfall amounts, since records began in the 1880s. Watson, Kara M.; Harwell, Glenn R.; Wallace, David S.; Welborn, Toby L.; Stengel, Victoria G.; McDowell, Jeremy S.
Watson, K.M., Harwell, G.R., Wallace, D.S., Welborn, T.L., Stengel, V.G., and McDowell, J.S., 2018, Characterization of peak streamflows and flood inundation of selected areas in southeastern Texas and southwestern Louisiana from the August and September 2017 flood resulting from Hurricane Harvey: U.S. Geological Survey Scientific Investigations Report 2018–5070, 44 p., https://doi.org/10.3133/sir20185070. Weaver, J. Curtis; Feaster, Toby D.; Robbins, Jeanne C.